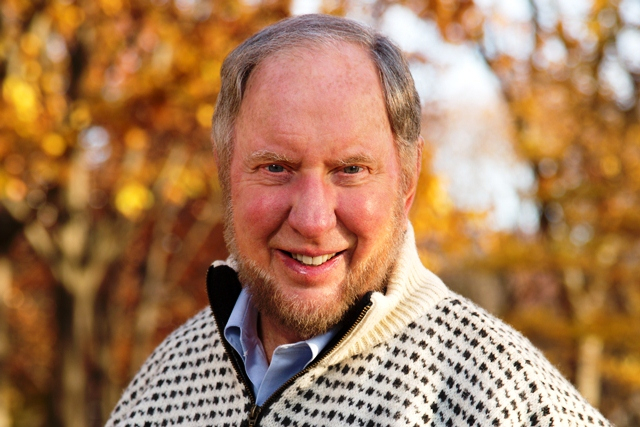 For Harvard political scientist Robert Putnam, growing up in the 1950s in Port Clinton, Ohio, was a time of opportunity, allowing classmates of all backgrounds to achieve the American dream. That's far from the reality today. The ability to climb the socioeconomic ladder -- a hallmark of that dream -- has become much harder in recent decades, a pall of downward mobility Putnam notes is visible across his hometown when he returns to visit today. In his new book "Our Kids," Putnam describes how rich and poor are increasingly segregated by neighborhood, while many poor young people in Port Clinton not only fail to attend college, but also often stumble through life without guidance from family members or adult role models. While "Our Kids" is peppered with statistics, the book is told through anecdotes and interviews of children of both poor and wealthy families, illustrating the different outcomes that kids from both sides of the track can now expect. David, an 18-year-old in Port Clinton, grew up as the son of drug-addled parents and has nine half-siblings. He attended seven different elementary schools, and after leaving school had temporary jobs in fast food and landscaping. He told the researchers he felt he had had no adults looking out for him when he was growing up. When co-researcher Jennifer Silva "sent back these reports of these interviews with these young kids, at first the rest of the team was a little skeptical," Putnam told CBS MoneyWatch. "Where did Jen find these kids that were leading such awful lives? She had stumbled into an unbelievable change in this little town." Port Clinton isn't an anomaly, Putnam added. His group's research into towns ranging from Austin, Texas, to Bend, Oregon, found the same trend: Impoverished children are increasingly separated from middle-class and upper-income students and given fewer opportunities for programs that enhance their education and enrich their lives, such as after-school activities and advanced placement classes. Family structures have also crumbled for many poor families, creating unstable social networks that leave impoverished children without guidance and role models. "What we discovered is that Port Clinton's history over the last 50 years reflects in microcosm, like a little drop of water reflecting the world, the rest of America: the collapse of community, the growing isolation of poor kids and the growing income gap," said Putnam, who is also the author of the 2000 book "Bowling Alone," which examined the breakdown of American social organizations. "We saw this wasn't some peculiar Rust Belt story. It was a nationwide story." While the problem has been exacerbated by long-term social trends, such as drug usage and single parenting, economic inequality is also striking at the roots of social mobility. Childhood poverty hit a 20-year high in 2010, while 1 in 5 American children now rely on food stamps. At the same time, the richest Americans now take home 20 percent of all pre-tax income, or more than double their share in 1980. By contrast, wages for working-class Americans have stagnated or fallen, while the manufacturing sector, which once supplied many jobs in towns like Port Clinton, have dried up. Putnam examines how those trends are playing out in the day-to-day lives of poor children. Compared with a half century ago, for instance, it's now less likely that people of different socioeconomic classes will marry, increasing income segregation. That means poor children have fewer relatives with the means to help them advance in life. Is America losing the war on poverty? Children from families in the top quarter as ranked by education and income were 17 times more likely to attend a selective college in 2014 than children in the bottom quarter. At the same time, poorer youths are increasingly concentrated in community colleges, where many fail to graduate. What that means is that many poor American children today are suffering from both an inequality of outcome -- the ability to achieve a middle-class standard through hard work, for instance -- and inequality of opportunity, or starting life without the same advantages as wealthier children. In Putnam's view, poor children today are increasingly defined, and limited by, the income bracket they are born into. Because America is increasingly segregated by class, with the "haves" living in wealthy enclaves and the "have-nots" living in their own neighborhoods with often underperforming schools, Putnam noted that the problem is out of view for many upper-income families. "Lots of good people, because of growing economic segregation and economic separation, are just not as aware of what life on the other side of the tracks is like," he said. "There should be more outrage. I want people on the upside really to be face to face with those realities." The problem, Putnam argues, doesn't only affect the poor. The issue of child poverty impacts all Americans and threatens the nation's economy, he said. "The fact of the matter is that America's gross national product is about 4 percent lower than if we solved these problems," he said. "Poor kids are costly" because of lower productivity and higher criminal costs. Too many people have "zero sum" thinking about the problem, he added, given that some cite concerns that increased spending on poor schools or children could mean fewer resources for the middle class. That kind of thinking is "not correct," he said. "In the Progressive era, we invested through the public high school system," Putnam said, alluding to the tide of social and economic reform that reshaped America's politics in the late 19th and early 20th centuries. "You could have said, 'We're wasting money on high school,' but now we know the outcome: Everyone was a lot better because we invested in everybody's kids." While the book offers suggestions for policy changes that could help alleviate the growing gap, some critics have taken Putnam to task for failing to hold anyone responsible for the surge in inequality and class segregation. After all, during America's first Gilded Age, "muck-raking" journalists and progressive politicians alike did not shy away from apportioning blame for the country's frequent economic spasms, while President Theodore Roosevelt famously inveighed against the "malefactors of great wealth" who he held responsible for the financial instability. Responding to such critiques, Putnam said his goal with "Our Kids" was to persuade fellow Americans about the serious issues ahead, rather than to polarize. "I've been told you need villains to win," he said. "The first person to tell me that was Ralph Reed, the far right evangelical. 'No villains, no success,' he said. I am surprised to find him echoed by people on the left." He added, "You don't need yet another polemical book to talk about what's right and wrong about Obamacare or Reaganomics. I wanted to champion poorer kids. I wanted to widen the number of Americans who think we should do something about poor kids." Among the economic remedies Putnam supports is expanding the Earned Income Tax Credit and protecting anti-poverty programs such as food stamps, which have come under fire from some conservative politicians and their supporters. Mixed-income housing could help bridge income segregation, while investing money in, and recruiting better teachers for, poor schools also could pay dividends. "The idea that every American should start at the same place is one of our fundamental American values," Putnam said. "We'd all be richer if we fix the problem, and we would be living up to our basic national values." Editor's note: The book is published by Simon & Schuster, a unit of CBS Corp., the parent company of CBSNews.com.